If the National Trust ever looks in its marketing money box and finds 5p and a button, then I have an idea for them, which I will donate for free. 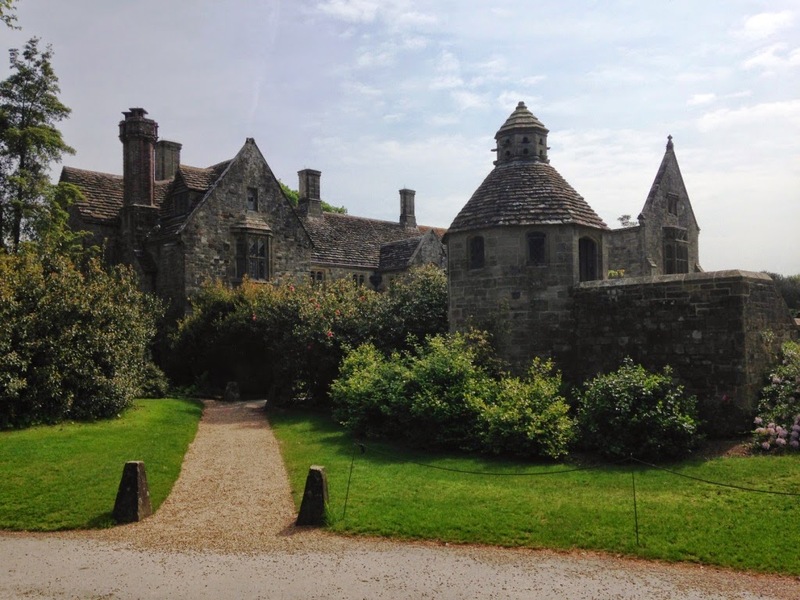 There's a partly ruined manor house at Nymans in West Sussex that was built by two men, Sir Walter Tapper and Norman Evill. I think you will agree that these are BRILLIANT names and should immediately be turned into cartoon characters: Sir Walter, a tap-dancing mouse in a big Cavalier hat that goes about rescuing heritage for the nation, and Norman Evill, his murky nemesis, who tries to foil Sir Walter in a variety of dastardly ways (trying to knock down stately homes to build car parks, eroding the coast, spreading a bit of damp about - there's a lot of potential here, it could easily run to 50-60 episodes). It's marketing GOLD, I tell you. Although Norman Evill's descendants might sue. And the people that moan about the Disneyfication of the National Trust will have a field day. I was actually expecting Nymans to be a bit of a sad place. 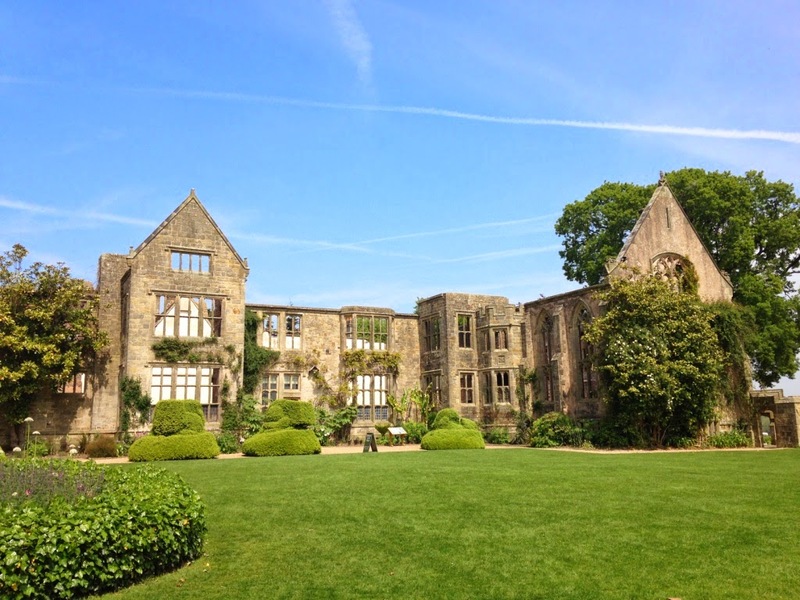 The original manor house and gardens were bought by Ludwig Messel in the 1890s. His son Leonard remodelled it, creating a stunning Gothic house (this is where Tapper & Evill come in). But then it burnt down. The ruined bit might look lovely and romantic now but imagine it on that February morning in 1947 when it was a smouldering pile of rubble. Awful. And Leonard never went back. His daughter Anne lived there in some capacity until she died in 1992 (this week's National-Trust-amazing-factoid-that-gets-briefest-mention-in-guidebook: Anne was the mother of Antony Armstrong-Jones, Princess Margaret's husband). But Nymans isn't sad at all. The ruin is beautiful, while the rooms you can enter give you some idea of how stupendous it must have been to have lived here during its 20 year heyday. Nymans is famous for its gardens and they are indeed stunning. I'll be honest, my interest in gardening is at the lower end of the scale but even I found it fascinating. 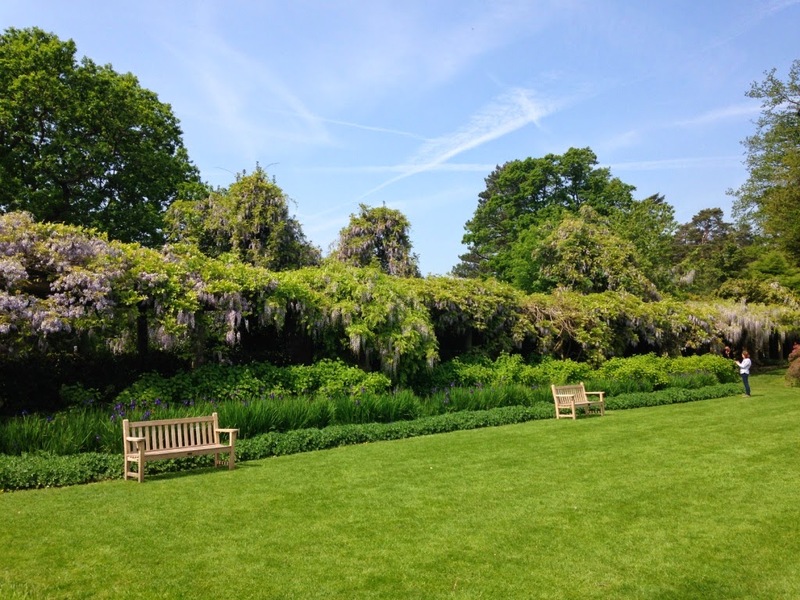 The wisteria in the photo below is a real reminder of how landscape gardeners are unique, in that they're always designing and planting for the future - and not just next Spring, but 20 years' time or even beyond their lifetimes. At the risk of being boring, the cafe at Nymans was also lovely. It's one of the best National Trust tearooms I've seen - it's big and efficient, with a really lovely outdoor bit. And if the scones had been any fresher, I'd have been eating a pile of flour. They were also massive, with a choice of fruit or plain. The plain scone was very nice but the fruit scone was a triumph of a scone. Utterly lovely. Like Waddesdon Manor, Nymans is a National Trust property that really knows what it's doing. And it was packed - we arrived at 10.30am and there were 100 cars in the car park already. A fantastic place that I highly recommend. Really pleased you enjoyed your visit to Nymans. Thanks Clive! They're a credit to the Trust! Hi Jane - I've heard a lot about Fountains Abbey and I need a foray into Yorkshire so thank you! Let me know what you think if you do go on a scouting mission! Several years ago we visited Nymans and had the fruit scones and I couldn't quite identify the flavours - citrus and lavender? I had to ask and they turned out to be orange and lavender and they were the best scones I have EVER had! I sent my compliments to the chef and was told I had made her day but she had definitely made mine. 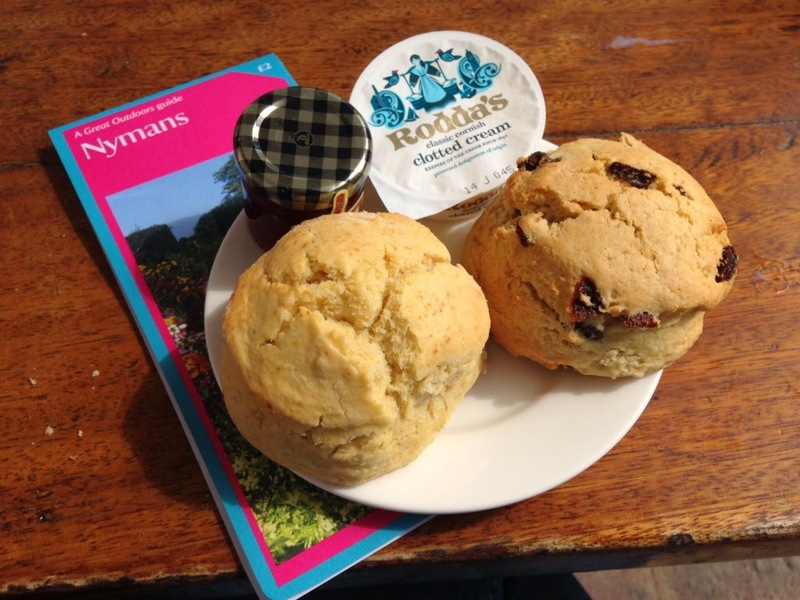 I have returned to Nymans several times since but haven't been fortunate enough to find those delicious scones.